Discover treasures on sandy shores and beyond at Indiana Dunes. 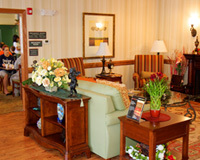 Communities with plenty of charm. Coastlines with plenty of top-ranked beaches. And deals with plenty of value. Find fine accommodations, unique restaurants, and endless activities. But more importantly, find great savings. 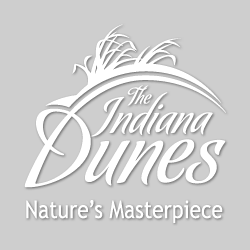 Explore Indiana Dunes and all the Country has to offer… for less! So all you have to worry about is what’s next on your list of adventures. This special offer has been removed from your travel planner! Buy one menu item, get 50% OFF the second item. Up to $12 value, One coupon per table. Family friendly smoke-free bar/restaurant with something for everyone. 20% OFF with an Indiana Dunes State Park entrance receipt from the same day. Gelsosomo's Pizzeria has been added to your travel planner! $5 OFF any $30 purchase or more (dine-in only). Ivy's Bohemia House has been added to your travel planner! 15% OFF menu entree (excludes weekend dinner specials). *One coupon per table. No separate checks please. Ivy's Catering has been added to your travel planner! FREE delivery on 1st catering order. 15% OFF dessert tray with purchase of entree & side. Lemon Tree Mediterranean Grill has been added to your travel planner! Build your rice bowl or wrap Mediterranean style! Smoked paprika chicken kabobs, tender steak, falafel veggies, gluten-free pita, vegan-friendly. Round the Clock Restaurant has been added to your travel planner! Family restaurant serving Northwest Indiana since 1963. *Taxes not included. Not valid with senior menu or other discount offer. *Chesterton and Valparaiso only. They only accept printed coupons. Pizza by the slice and daily lunch specials. Present this coupon and receive 10% OFF. Buy one entree, get 1/2 OFF the second entree. *Not valid on senior specials. must purchase two beverages. There are currently no special offers for this category. Please check back soon. Ivy Boutique has been added to your travel planner! "Dunes10" for 10% OFF entire purchase. In store and online! Jake's Feed & Garden has been added to your travel planner! 20% OFF any regularly priced bird feeder. La Maison Gifts & Decorative Accessories Interior Design has been added to your travel planner! Lifestyles has been added to your travel planner! $5 OFF any item that is not on sale. Gift shop-includes jewelry, bath/body, kitchen gadgets, food, coffee, tea, baby, toys, candles, accessories. Marshall's Time Shop has been added to your travel planner! They will fix your Tic-Tock for you (watch or clock). Hours: Tue. - Fri. 10am - 5pm; Lunch 1 - 2:15pm; Sat. 9am - 1pm; Closed Sun. & Mon. $5 OFF, cut your own tree or they fresh cut daily! Free boughs and gifts for kids. Scented Seasons has been added to your travel planner! Sweet Stitches Quilt Shop has been added to your travel planner! 15% OFF all regularly priced fabrics. Cut from the bolt. 20% OFF everything in stock. Full service ceramics studio. Finished products on site. Gifts for all occasions. Lessons. Paint-A-Pot. *One time purchase with coupon. Wild Birds Unlimited has been added to your travel planner! No mess bird seed, bird food, bird feeders, bird houses, bird baths, unique gifts, chimes, expert advice. The bringing people and nature together. DunesWalk Inn has been added to your travel planner! Receive $15 OFF room rate Monday night thru Thursday night. Spring House Inn has been added to your travel planner! It's one part hotel, one part country retreat and all parts comfort. With more than 50 rooms perfect for business travelers, families and anyone in-between, this hotel prides itself on an Old World atmosphere and the service you'd expect at a boutique hotel. 303 N. Mineral Springs Rd. *Coupon must be presented at time of reservation. Coupon cannot be used with online reservations. Coupon cannot be used with any other offer. Duneland Family YMCA has been added to your travel planner! Stoke Riders is a kiteboarding school located along the shores of Southern Lake Michigan. In your intro to kiteboarding lesson, you will learn the kite's wind window, gear setup, safety and all the local knowledge you'll need to learn to kitesurf on the Great Lakes. Porter Beach - 1 Johnson Beach Rd.